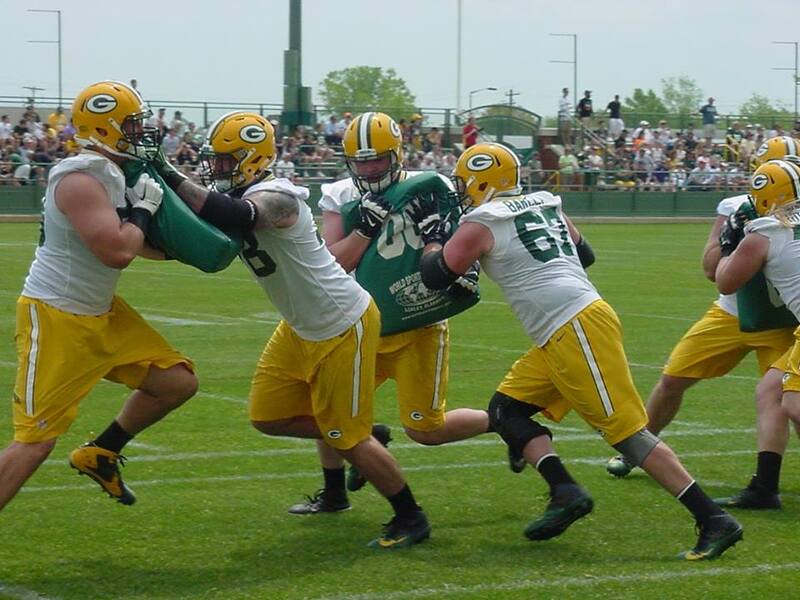 When Bryan Bulaga arrived for training camp, his knee was feeling good. Bulaga thought he would pass his physical and join his teammates on the practice field on Thursday. The Packers had other ideas, deciding instead to put Bulaga on the Physically Unable to Perform list to start camp. That didn’t sit well with Bulaga. Mike McCarthy said he thought Bulaga would be ready for the season opener against Chicago. The Packers have a number of players vying for playing time at right tackle if Bulaga isn’t ready to go. 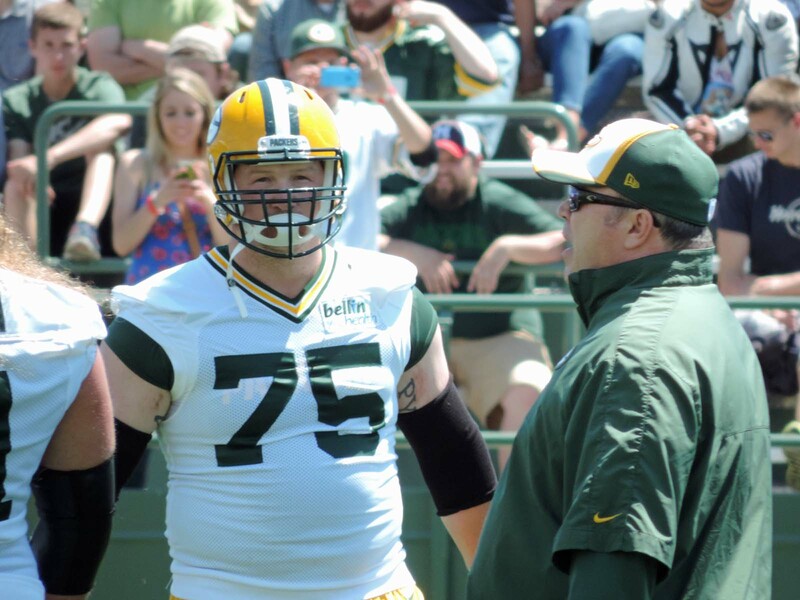 Jason Spriggs worked with the one’s on the first day of training camp practice on Thursday. Kyle Murphy, Byron Bell and Justin McCray round out the group. 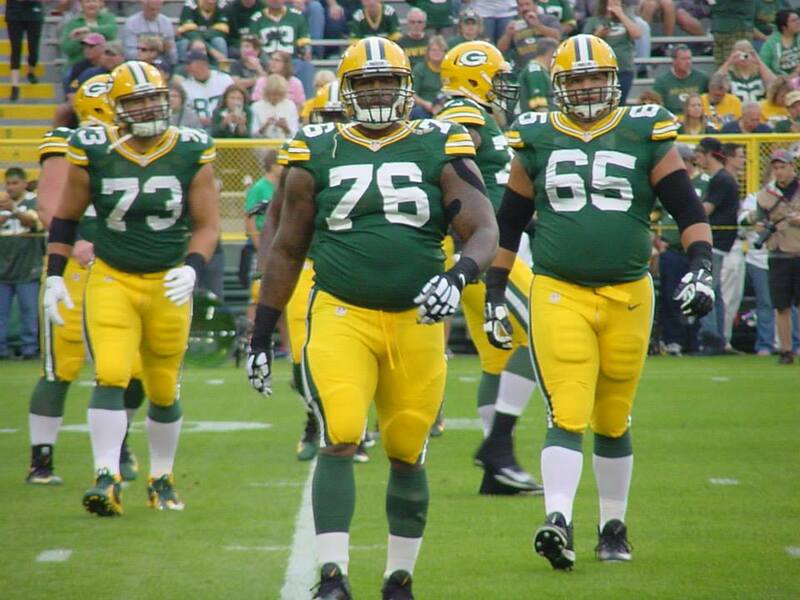 McCray and Spriggs started games last season after Bulaga suffered the initial injury. It’ll take Bulaga some time to regain confidence in the knee and get ready for the season opener. How much time he gets from team doctors remains to be seen. While Green Bay Packers right tackle Jason Spriggs suffered a painful knee injury, he won’t require surgery. Spriggs suffered a dislocated knee cap on the first play from scrimmage against the Minnesota Vikings on Saturday night but he didn’t tear the patellar tendon, which means no surgery is necessary. 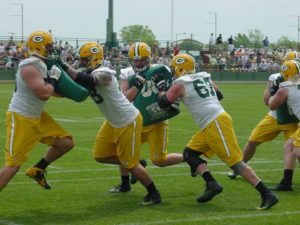 There’s a good chance that Spriggs could be ready for the start of training camp. Spriggs had taken over for starter Bryan Bulaga, who tore his right ACL on Nov. 6 against Detroit. Bulaga’s recovery time is expected to be much longer and there’s no guarantee he’ll be ready to start next season. The Packers are guaranteed to finish in third place in the NFC North, regardless of Sunday’s outcome against the Detroit Lions. That means the Packers know who they’ll have on their schedule, both home and away next season. Aside from divisional matchups, the Packers will face 2018 home games against Arizona, San Francisco, Buffalo, Miami and Atlanta. On the road, the Packers will square off against the L.A. Rams, Seattle, New England, New York Jets and Washington. Packers place Spriggs on I.R. The Green Bay Packers placed second-year offensive tackle Jason Spriggs on injured reserve on Tuesday because of a knee injury that he suffered on the first play from scrimmage in last Saturday night’s 16-0 loss to the Minnesota Vikings. Packers coach Mike McCarthy told reporters on Sunday that Spriggs had suffered a series injury. 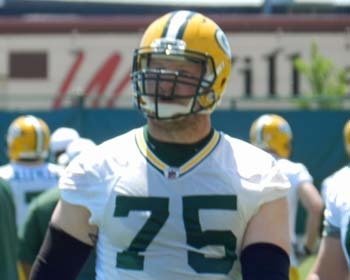 Spriggs had taken over at right tackle after the Packers lost Bryan Bulaga for the season with injury. With a roster spot available and another injury to tight end Richard Rodgers on Saturday’s game, the Packers signed rookie tight end Emanuel Byrd to their 53-man roster by calling him up from their practice squad. Byrd is expected to back up Lance Kendricks on Sunday’s season finale against the Lions in Detroit. The Green Bay Packers activated offensive tackle Jason Spriggs from injured reserve and promoted fullback Joe Kerridge from the practice squad prior to Sunday’s game against the Baltimore Ravens. They officially placed right tackle Bryan Bulaga on injured reserve. The Packers played last week’s game against Chicago with only 52 players on their roster after the release of Martellus Bennett. Spriggs tore his hamstring in the Packers season opener against the Seattle Seahawks and hasn’t played since. The Packers and Ravens kick off at noon on Sunday at Lambeau Field. The Green Bay Packers may not know until today at the earliest, whether or not right tackle Bryan Bulaga be able to play on Sunday against the Falcons in Atlanta. Bulaga was sent home for the second straight day due to a flu like illness. The Packers are trying to keep Bulaga away so the rest of the players don’t get sick as well. The Packers only padded practice of the week was Thursday, so Bulaga missed out on the day of preparation. There’s a possibility that Bulaga’s ankle could be ready, yet he could be sidelined by the flu bug. If Bulaga can’t go, Kyle Murphy would make his second straight start in his place at right tackle. 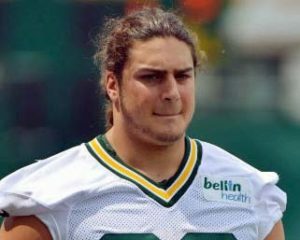 Left tackle David Bakhtiari was listed as a limited participant in practice both Wednesday and Thursday because of a hamstring injury. His backup Jason Spriggs is sidelined by a hamstring injury and is expected to miss at least a couple of weeks. The Green Bay Packers are heading into Sunday’s showdown with the Atlanta Falcons with some health issues at offensive tackle. Right tackle Bryan Bulaga, who missed the opener last week with a sprained right ankle, was sent home with an illness on Wednesday. Not known is whether or not Bulaga would have practiced had he not been ill. If Bulaga isn’t ready to play on Sunday, Kyle Murphy will make his second straight start in his place. Starting left tackle David Bakhtiari was listed as a limited participant in practice because of a hamstring injury. His backup on the left side, Jason Spriggs suffered a hamstring injury against Seattle and Mike McCarthy said Spriggs would miss at least a couple of weeks. The Packers signed Adam Pankey from the practice squad this week to add some depth. It didn’t take LaDarius Gunter long to find another team after the Packers released him on Tuesday. Gunter was claimed off waivers by the Carolina Panthers. Gunter finished last season as the Packers top corner and led all corners in total snaps. Gunter was active against Seattle but played just two snaps.